There are few airlines in India which talk about their employees on social media. IndiGo has been featuring some of its staff and crew in its in-flight magazine, but these are more individual stories – either of struggle or achievement than a general feature. AirAsia India hasn’t officially talked of its staff – most photos of staff in a joyful mood are clicked and posted by its poster CEO Mittu. Air India only recently got active on social media. Go Air remains silent and Jet Airways uses certain employee photos to focus on matters other than the employees. 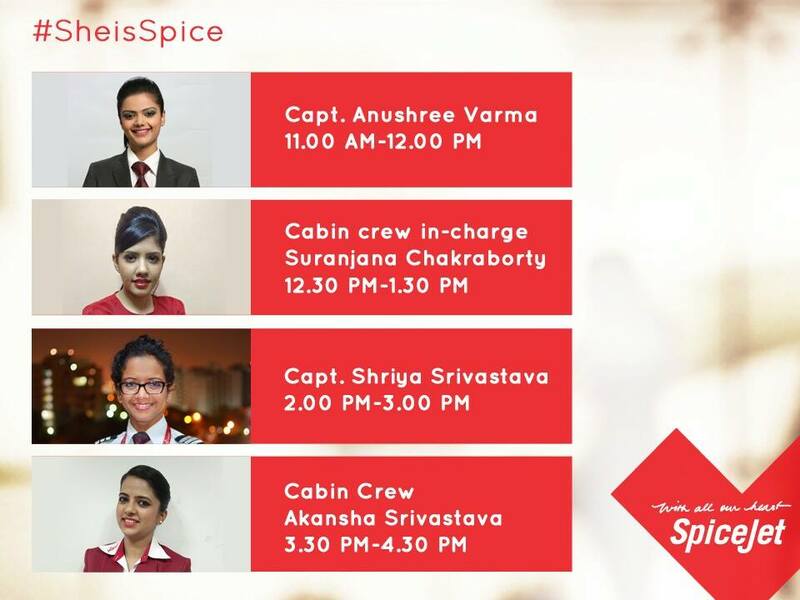 Of all airlines in India, SpiceJet and Air Costa were the only ones to issue press releases with photos of their all women crew. 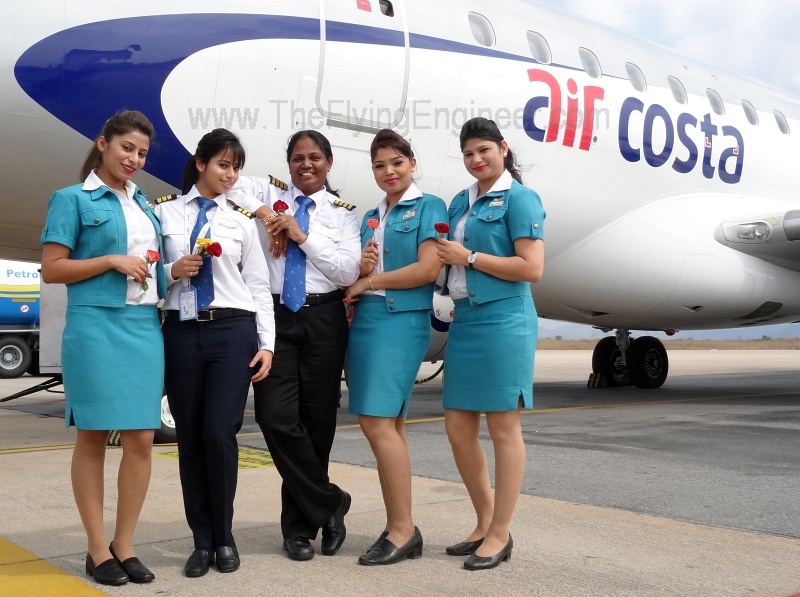 While SpiceJet talked of 16 all women flights operated on Women’s day, Air Costa operated four flights with an all women crew. Air India operated four such flights, but spoke nothing of it on its social media sites. Air Costa issued a press release, but it was only the chief financial officer (CFO) Vivek who posted photos of the all women crew. The only airline that well coordinated the effort was SpiceJet. Sanjiv Kapoor, the COO, was active on Twitter, and posted a photo of him posing with the all women crew who flew him from Goa to Delhi. The airline allowed all its fans and followers on Twitter to ask four of its women crew – a captain, a first officer, a cabin crew in charge, and a cabin crew, questions about pretty much anything. It also posted photos of the all women crew that operate the first Q400 and Boeing 737 flights today. SpiceJet pulled all plugs to engage with its audience, and the crew interaction was perhaps the most meaningful activity hitherto undertaken by any airline in India, on Women’s day. The message was clear – don’t just admire, ask and learn. SpiceJet may have been successful in not just inspiring, but guiding men and women seeking a career in the airline industry. Efforts of the management head and the airline social media team seem to have been energetic, and well co-ordinated. Sunday wasn’t an excuse. While SpiceJet conducted a great, out-of-the-box and meaningful exercise on social media , one aspect where it perhaps fumbled was in blindly (though unofficially) promoting a poorly researched story about a SpiceJet woman pilot from a particular religious community that was carried in the mainstream media – Hindustan Times. Social media take away – Do what SpiceJet did (not necessarily follow, but get inspired!). It was brilliant and out of the box. Also make social media mental checklists a habit, so that certain stories, when promoted, don’t damage the image of an individual or an airline. Kudos to SpiceJet, for what it did. We’ll next have to convince them to form an ‘Aviation Day’ that we can observe and celebrate.